Beaufort is a French cheese made in Beaufort (hence the name) - up in the French alps. They use only milk from local alpine grazing cows that help to give Beaufort its creamy flavour and slightly nutty/fruity finish. 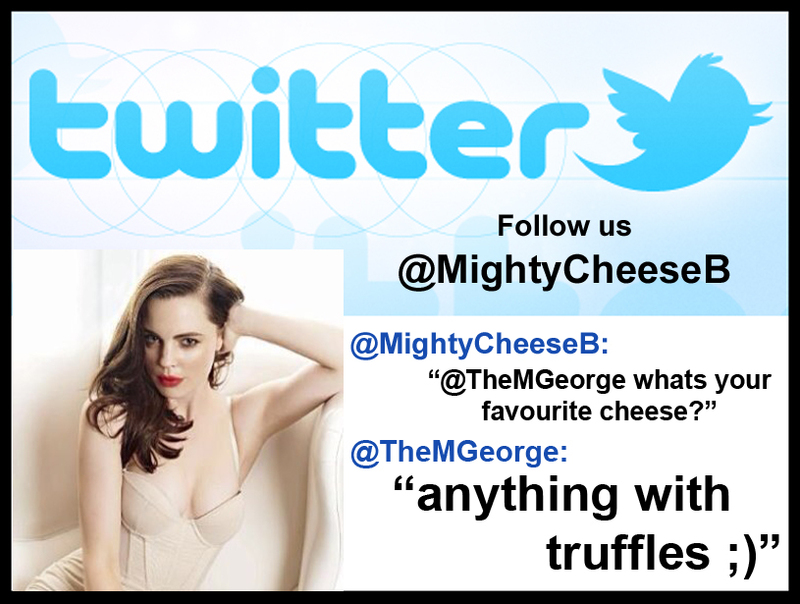 It falls somewhere between a Comte and an Emmental in both flavour and texture. I found it slightly unusaual in the fact upon imediate tasting I wasnt bowled over by this cheese, but I kept going back for another taste. 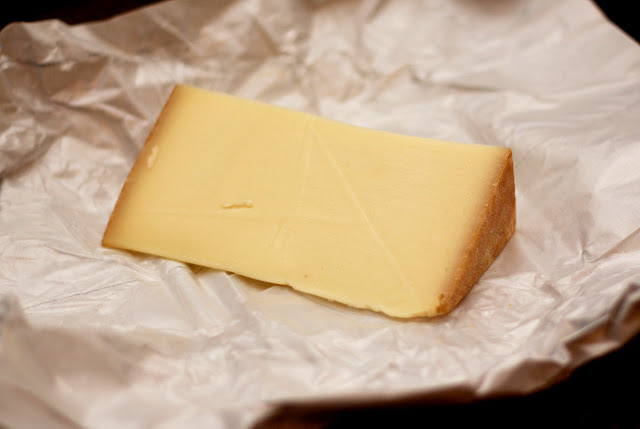 I think if you love Comte - then this cheese will be a new favourite for you!!! 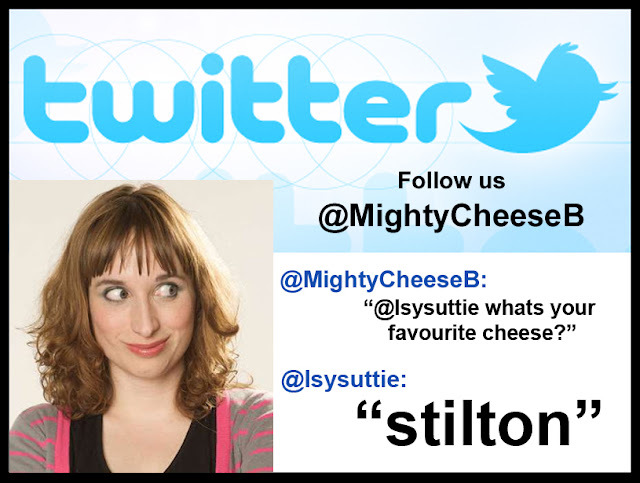 Better known as Dobby from Peep Show - Isy Suttie was eating cheese in her first episode as "she brings her own cheese" Dobby. So as a cheese loving character we thought we's ask if the real Isy Suttie also enjoys cheese - yes - she loves Stilton! A crazy news story from New York - a hotel hires an "artist" to cover one of their rooms entirely wirh cheese - is it art or just a cheesy mess??? Snowdonia cheeses are all pretty decent - however this Red Devil is a particular favourite flavour of mine! Its a Red Leicester - full flavoured with a slightly saltyness to it combined with chilli and crushed pepper. Its got a nice decent heat to it that leaves your mouth watering and wanting more. The heat is well infused into the cheese without turning the cheese acidic like with some chilli infused cheeses you get. It is hot though, so is best served with a sweet chutney or relish to counterbalance it! I had mine with some sweet fig relish and it was so good I eat the whole block in one sitting! Yum! Unfortunatly I dont have much information about this particular cheese other than that on the sign - its an unpasturised sheeps milk cheese and its bloody delicious! It has a nutty taste like that of an Emmental, but without the sweetness. Texture wise its quite a hard but smooth cheese like a Comte. I picked up a wedge of this at the Christmas market in Manchester outside the town hall. I can say it didnt last long & if you are visiting the Manchester Christmas markets to keep your eyes open for this Sheeps milk beauty! Delicious!